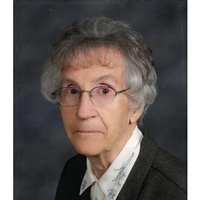 Marie passed away Saturday, January 12, 2019 at Tennova Health Care in Powell, TN, at the age of 96 years. The daughter of the late Frederick and Frieda (Bickel) Schlicker was born March 6, 1922 in Saginaw Township, MI. She was a member of St. John’s Lutheran Church of Au Gres, Michigan. She enjoyed gardening, farming and enjoyed her African violets. Left behind to cherish her memories are one daughter and son-in-law, Kay Marie and Michael Irwin of Knoxville, TN; one son and daughter-in-law, Kenneth and Ann Marie Nitschke of Midland, MI; two grandchildren, Jessie Irwin and her husband, John Ackley of Knoxville, TN and Joshua Irwin of Huntington Beach, CA. She was preceded in death by her husband, Shirley O. Nitschke whom she married July 27, 1947 and he passed away March 9, 2002; two sisters, Erna Schlicker and Adeline Petcheel. Funeral and Committal Services will take place on Saturday, January 19, 2019 at 3:00 p.m. at Gephart Funeral Home, Inc. Officiating will be Rev. Fred Cordts with private interment in Floral Gardens Cemetery. The family will be present at the funeral home on Saturday to receive visitors from 2:00 p.m. until the time of services. Those planning an expression of sympathy may wish to consider donations to St. John’s Lutheran Church of Au Gres or the Parkinson Foundation. For on line condolences please visit www.gephartfuneralhome.com.